Attorney Catherine W. Real has more than three decades of experience practicing family law at her office location in Hyde Park in Tampa, Florida. 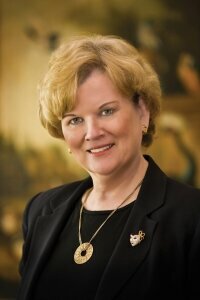 She is experienced as a litigator and a Florida Supreme Court Family Law Mediator. The firm has also represented clients as far south as Key West and as far north as Pensacola. In addition, the firm represents clients all across the country. Catherine Real handles any level of a divorce case, no matter how complex. She can take the case to trial or pursue a resolution through mediation. Not many firms take appeals from orders entered by family law judges. Attorney Real, however, will accept referrals of appeals from any family law attorney in Florida. Attorney Catherine Real has been asked on two separate occasions to speak to students during family law classes at Stetson University College of Law. She considers it a great honor to have been invited to speak, as only those with substantial experience and an outstanding reputation are asked. Stetson University College of Law is ranked as number 74 out of the Top 80 from the National Jurist’s rankings of law schools in the United States. According to US News & World Report, it is ranked 93 rd among law schools and is ranked 1 st in trial advocacy. The school’s passage rate for the Florida Bar exam is 85.5%, making it the school with the highest passing rate in the state. While working as the Staff Director of the Health & Rehabilitative Services Committee of the Florida Senate, Attorney Catherine Real wrote a publication on the topic of whether to create a unified statewide welfare system or maintain the countrywide welfare agencies that existed in Florida during that time. You can view the document here. Social Connections for Catherine W. Real, P.A.